If you haven’t experienced the luxury and performance of Jaguar‘s first SUV, this is the perfect opportunity! Jaguar Colorado Springs currently has an Approved Certified Pre-Owned 2017 Jaguar F-PACE 35t Premium AWD. This low mileage SUV has a powerful 3.0L V6 supercharged engine with 8-speed automatic transmission. This combination provides an estimated 18 mpg city and 23 mpg highway. You won’t miss out on features with this SUV either! Listen to your favorite music on the 11-speaker Meridian 380W sound system while enjoying the comfortable, heated seats, and innovative navigation package. The F-PACE looks amazing in this eye-catching white with the stylish 19″ fan 5-spoke silver finish wheels. The Approved Certified Pre-Owned Jaguar program offers an exciting variety of benefits. Have the peace of mind that comes with a 6-year / 100,000-mile limited warranty and 24/7 Roadside Assistance. You will also receive Jaguar Concierge and vehicle history report. 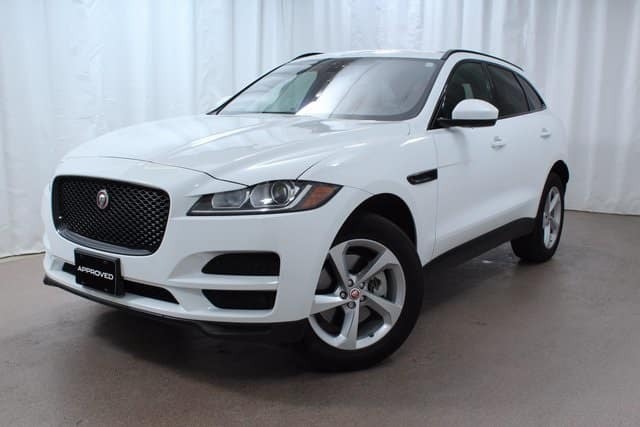 Stop by Jaguar Colorado Springs today for a test drive of this Approved CPO Jaguar F-PACE. Experience the power, performance, innovation, and all-out luxury that make this an amazing vehicle for you!